In ensuring effective modular refinery projects in the country, Mr. Emmanuel Iheanacho, Chairman, Eko Refinery and Petrochemical Company Ltd., has appealed to Federal Government to support local refiners with sovereign guarantee to secure loans for the completion of their modular refineries. ``It simply means government is going to give a sovereign guarantee for any money that is loan, there is money all over that place but there awaiting government to make the moves to agreed to give sovereign guarantee. ``There is no reason why our government would not be assist indigenous refiners with that,’’ he said. 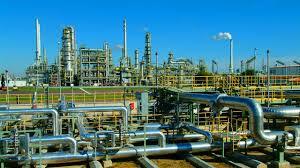 Iheanacho, who is also the Chairman of Integrated Oil and Gas Limited, said that ``It seems to be under appreciation of the importance of private sector involvement in modular refineries in Nigeria. ``What that means is that we pay lots more from the fuel that we consumed, but if we refine it locally we will see a significant reduction on the transportation cost both on transporting the raw product to refining in abroad and bring it back for consumption in our economy. ``What government ought to have done is to encourage people who bring in viable ideas, like setting up the modular refineries. ``I know that government always talks about of licenses where about 42 refineries was gioven licenses and non as come up, to me, it’s not about the licenses that stopping the people but there so many issues in getting a licenses and establishing a refineries. ``You have to understand the business of refining, you have to understand the market context you must have been able to articulate the field, front engineering design, detail design and find financing, this is where government should come in,’’ Iheanacho said. ``We (Eko Refinery and Petrochemical Company Ltd.,) have gotten the authority to commence construction from DPR which is the final approval, the first is license to establish and the license to construct. ``We are at the fund raising stage, and we are going to raise funds wherever we can get it from ( within and outside the country). ``One cannot commence construction until the company go to for fund raising stage which was the stage we are now,’’ he added. Iheanacho said that the 20,000bpd crude oil refinery project site at the Tomaro Industrial Park and Free Trade Zone in Lagos was designed to boost refining capacity in the country.